Britain’s opposition leader Jeremy Corbyn has openly criticised the stance taken against Russia by Theresa May’s government – which is backed by the US, France and Germany – in its reaction to the nerve agent attack in England on a former Russian spy and his daughter. 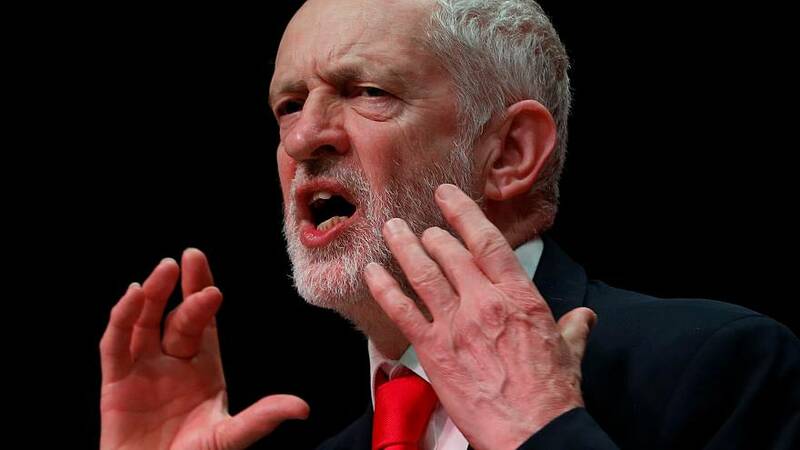 In an intervention that highlights divisions within his party, the Labour leader warns against “rushing way ahead of the evidence” in blaming the Russian state, which he says could bring a “new cold war”. On Wednesday the British prime minister told Parliament there was “no alternative conclusion other than the Russian state was responsible for the attempted murder of Mr (Sergei) Skripal and his daughter (Yulia)”, calling it “unlawful use of force by the Russian state against the United Kingdom”. In an article for The Guardian, the opposition leader says he backs the government’s move to expel 23 Russian diplomats over the case, but suggests that tougher action against oligarchs and their money would be more effective. Jeremy Corbyn condemns the attack on the Skripals in the UK via a military nerve agent as “barbaric and beyond reckless”. However, calling for calm, he adds that “to rush way ahead of the evidence being gathered by the police, in a fevered parliamentary atmosphere, serves neither justice nor our national security”. “Russian mafia-like groups” might have been to blame, he says, pointing out Theresa May herself had said one possible explanation was that the Russian government had “lost control” of the nerve agent, allowing it to get into the hands of others. Corbyn’s comments on apportioning blame appear to put him at odds with some on his own front bench team. Defence spokeswoman Nia Griffith said on Thursday she agreed that “Russia is responsible for this attack”. On Thursday night shadow Brexit secretary Keir Starmer said the prime minister’s conclusion – backed by Britain’s international allies - that there was “no alternative explanation other than that responsibility lies with Russia” was “the right conclusion”. Earlier this week the opposition leader was criticised by some in his own party over his response. Nineteen Labour MPs signed a motion fully backing Theresa May and her measures. The government's move followed a deadline set by the UK for Russia to explain the use of the nerve agent experts said was of a type that originated from the ex-Soviet Union. Moscow did not respond to the ultimatum. On Thursday the British government secured the backing of the leaders of the United States, France and Germany. Their joint statement said there was “no plausible alternative explanation” to Russia being to blame for the attack, calling it the “first offensive use of a nerve against Europe since the Second World War”. British Foreign Secretary Boris Johnson went further on Friday, saying the UK government thought it was “overwhelmingly likely” that the nerve agent attack was ordered by President Putin. Jeremy Corbyn continues in his article to argue for tougher action against Russian money and “crony capitalism” in Britain, which he says compromises the British position. Labour has pledged a crackdown on money-laundering. “We are willing to back further sanctions as and when the investigation into the Salisbury attack produces results,” Corbyn adds. Some in British academic circles have also criticised the government’s stance in pinning the blame for the attack on Russia with such certainty. However, some defence experts have backed its implication of the Russian state. Warning against “emotion and hasty judgments”, the Labour leader reminds readers that “flawed intelligence and dodgy dossiers led to the calamity of the Iraq invasion” – an assertion likely to strike a chord with many of his supporters in the UK. The UK, he argues, should make use of international treaties and procedures to deal with chemical weapons. The Russian issue, he adds, “must be addressed through international law and diplomacy”.